For generations, Wesleyan students, faculty, staff, and alumni have connected their educational work to making positive contributions to the world around them. Here we have long believed in the power of a liberal arts education not only in helping one to live a more reflective and considered life as an individual, but also in enabling one to engage with one’s community in effective and generous ways. Our student volunteers at our Green Street Art Center, our tutors at Traverse Square in Middletown, and our teachers in prison programs are just a few examples of public service at Wesleyan. 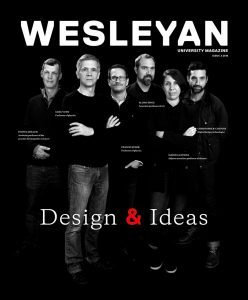 I have no doubt that we at Wesleyan—students, faculty and staff—will continue to work with our partners, our neighbors, and our friends to connect our efforts here to productive work beyond the campus. In his Commencement Address at Wesleyan in the spring of 2008, President Obama spoke to our students about the dignity, power, and joy of public service. He told our graduates that their service could “shape the collective destiny of their generation” and help form the future of our nation. Our undergraduates know that the time to engage is now, but they are also learning that this has been an impulse felt within the Wes family for generations. Civic Engagement was one of the key areas of growth that I underscored in the first year of my presidency. During the last few months I have often been asked what would become of the Roth Initiatives that I’d discussed with the faculty, alumni, and student body. Although the radical economic dislocation has made us more focused and disciplined in our approach to everything from the curriculum to financial aid, the downturn in the financial markets has not grounded our plans. We continue to work on Civic Engagement, Creative Campus, Curricular Improvements to the first and last year of a student’s experience, and Internationalization. These efforts do not depend only on financial resources. The College of the Environment and new investments in financial aid and in science facilities might take more time, but I remain committed to these programs. One of the things one learns in public service is that not everything depends on a big budget. Over time I am confident that we will develop additional resources to serve alma mater, but meanwhile our staff, faculty, alumni, and students engage their communities in positive and powerful ways.